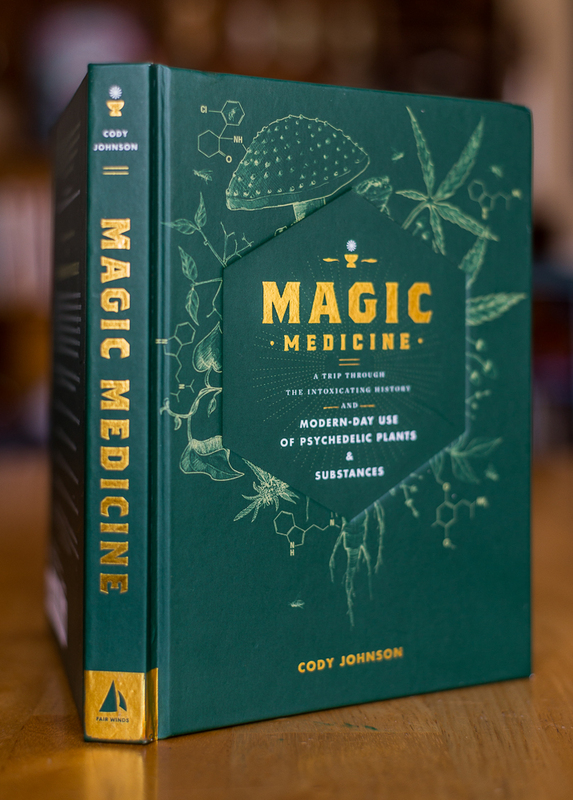 Have you ever had a psychedelic experience so intense that you felt it would change your life forever? 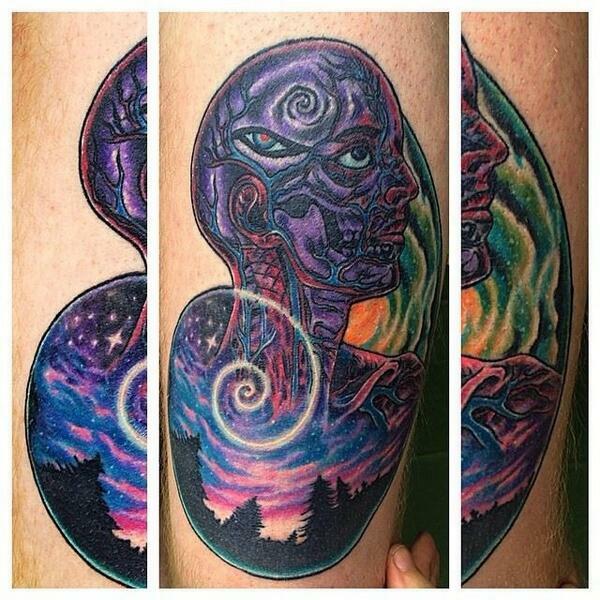 Did you wish you could immortalize the experience — say, by emblazoning swirling, psychedelic visions upon your skin forever? 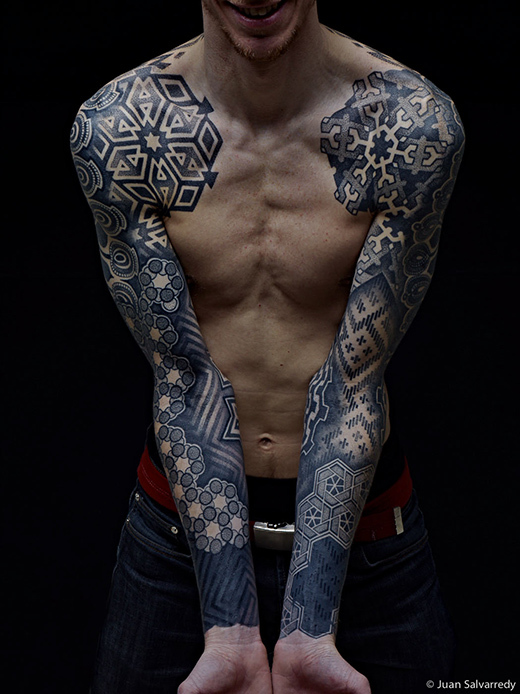 Okay, neither have I. 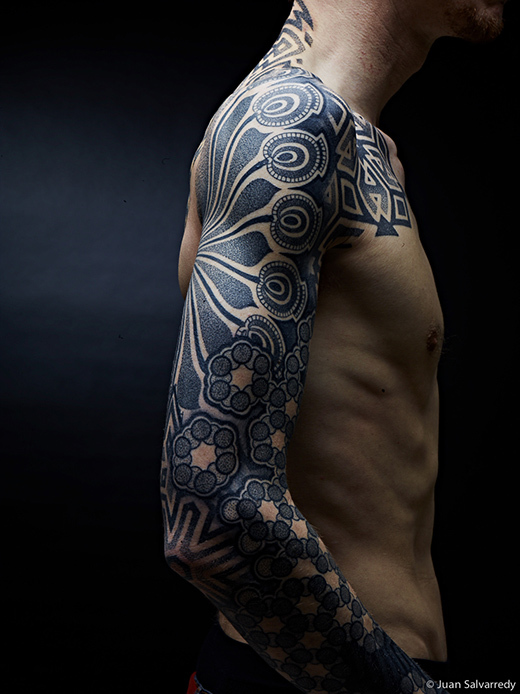 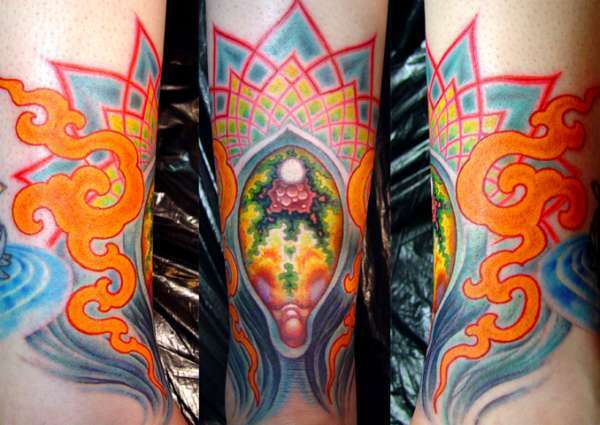 But a few rare souls must have felt that way, because the tattoos below are undoubtedly psychedelic. 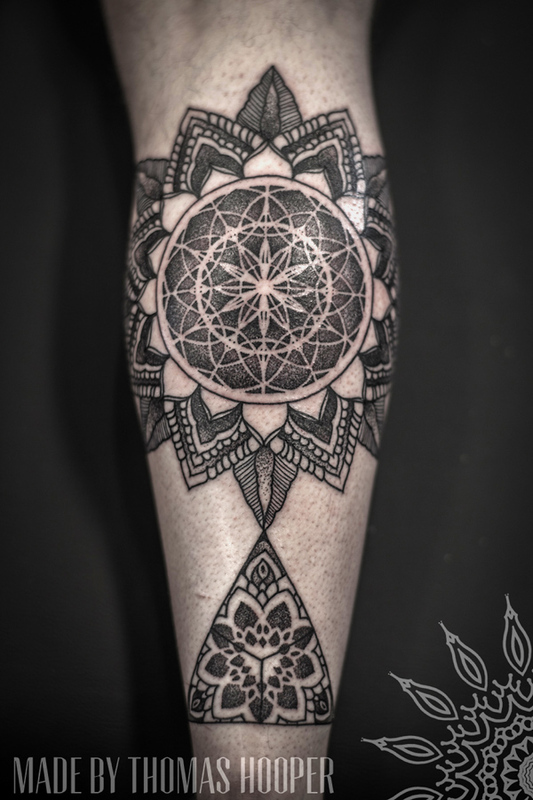 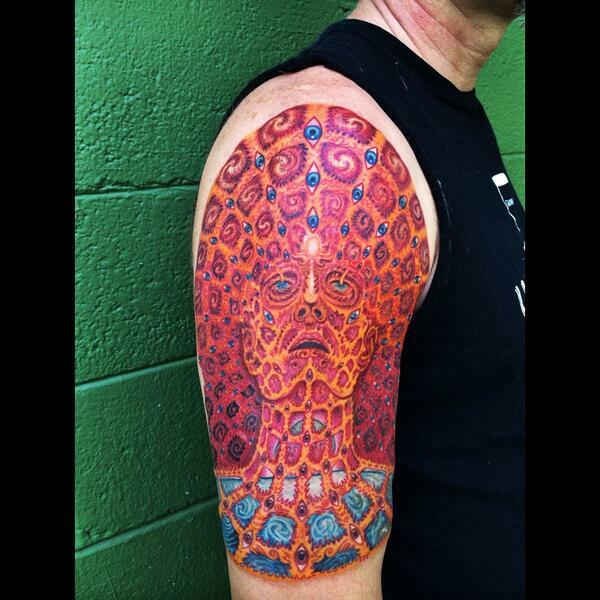 From geometric blackwork to cosmic scenes, Alex Grey paintings to peyote cacti, there’s a trippy tat for all tastes. 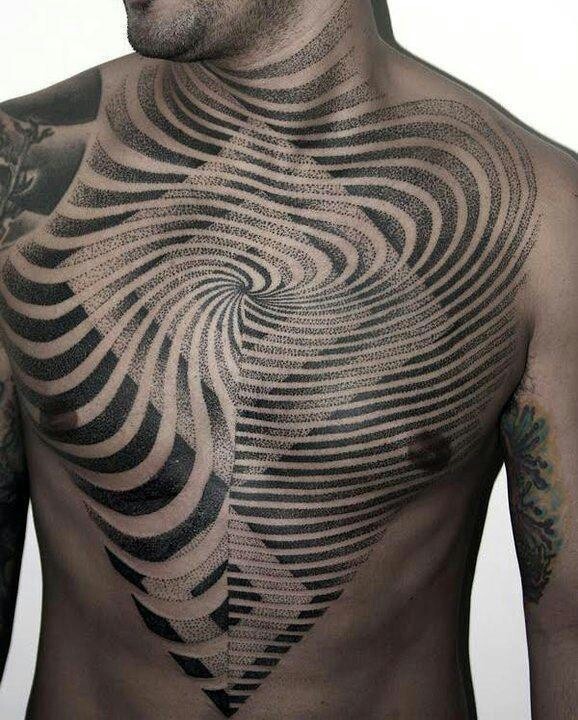 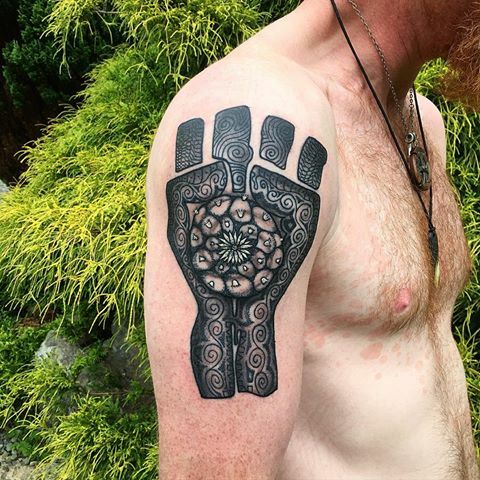 I’ve scoured the Internet to find the 15 coolest psychedelic tattoos on the planet. 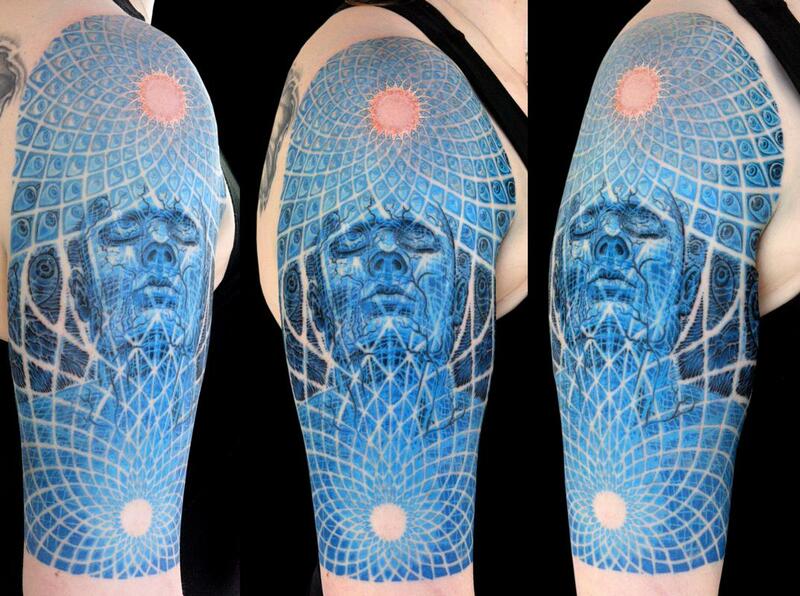 Also by Jeremy Sloo Hamilton, this adaptation of another Alex Grey work. 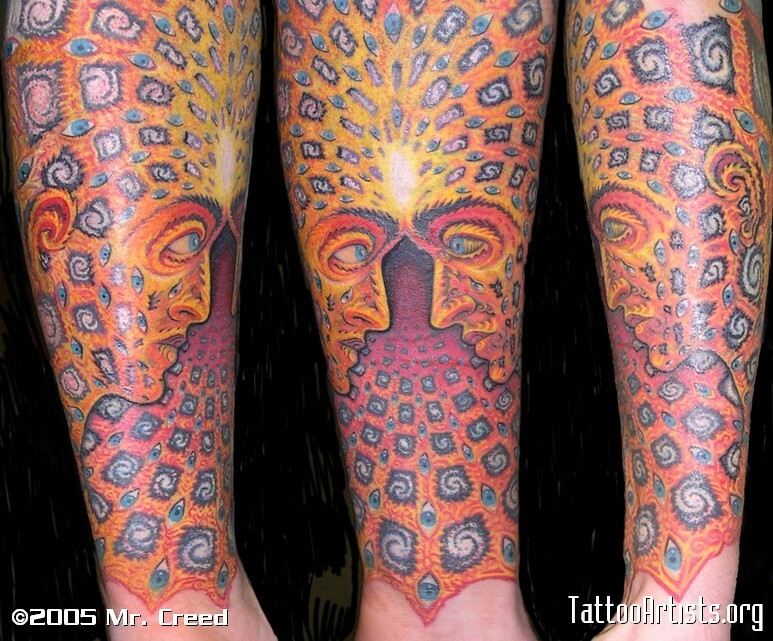 Another Alex Grey sleeve, this one by Tim Creed. 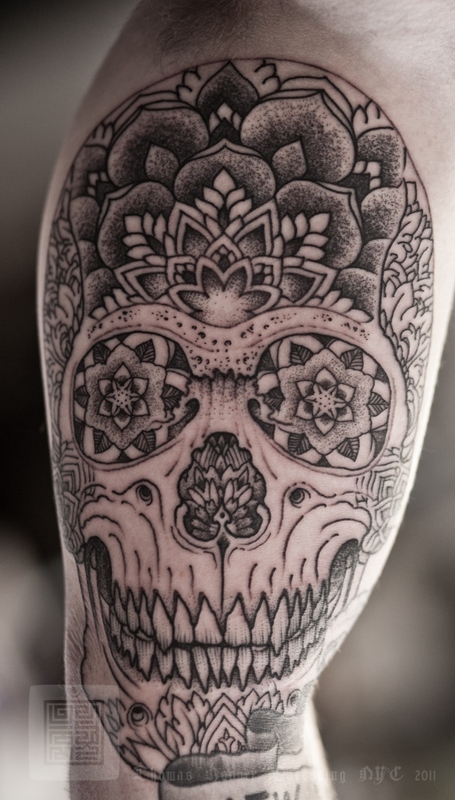 A trippy skull design by Thomas Hooper with a Dia de los Muertos vibe. 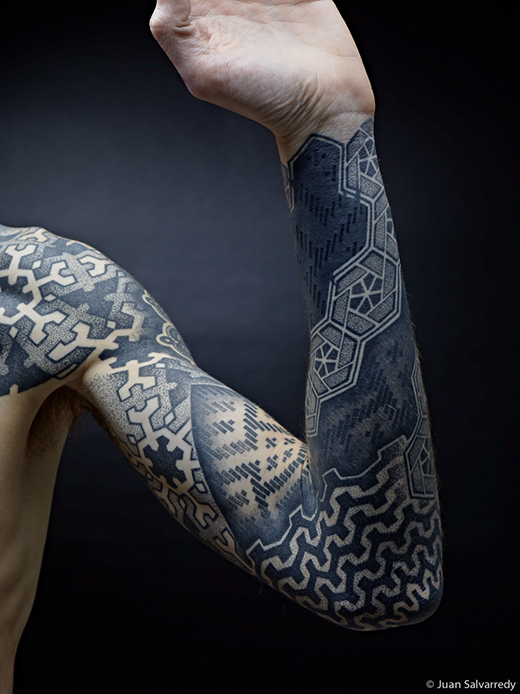 Thomas does the most incredibly intricate blackwork, be sure to look up more of his work. 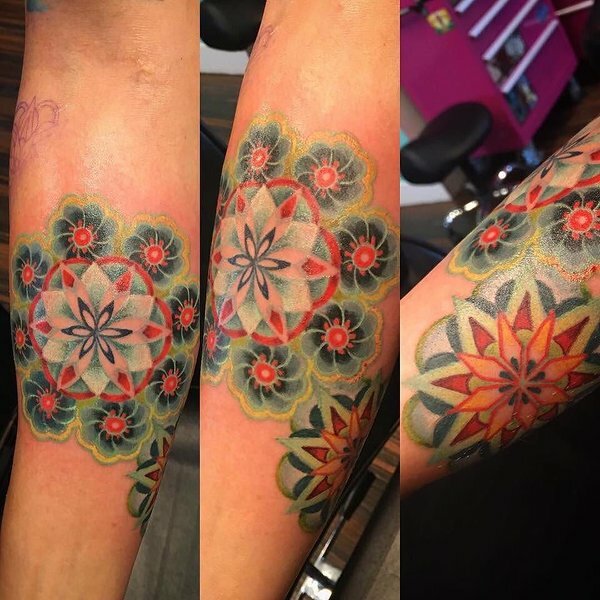 Peyote design by Jackalope, an all-female tattoo parlor in Minneapolis. 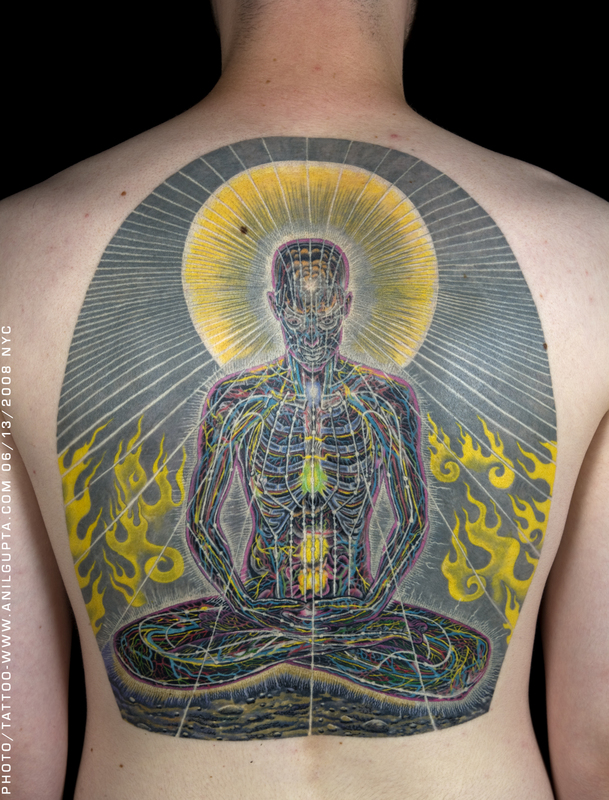 They say the third eye is located in the forehead But this one, rendered in exquisite colorful detail, takes up the entire upper back! 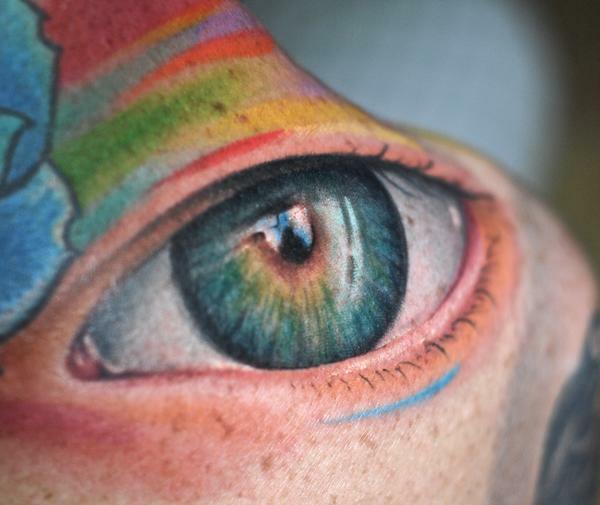 The reflection in the pupil is a nice touch. 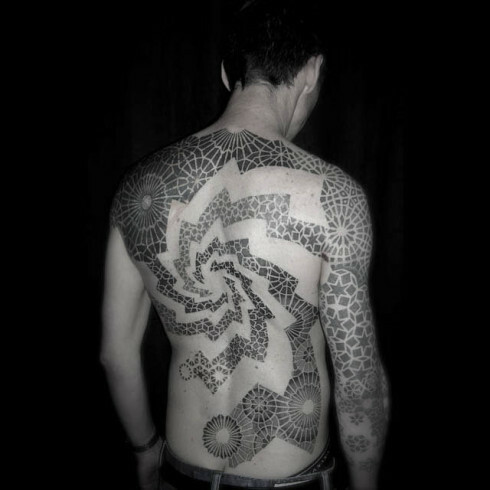 One crazy spiral featuring all kinds of geometric designs.